CENTER CITY (WPVI) -- Police and firefighters were on the scene of a serious accident in Center City, Philadelphia. The crash happened around 3 p.m. Sunday near the intersection of 13th and Lombard streets. Three people were hurt. 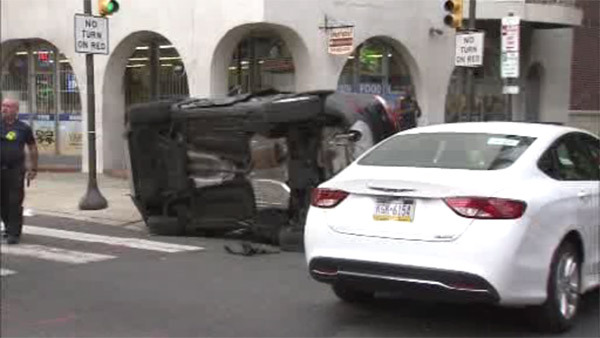 Two were taken to Hahnemann University Hospital, and one was taken to Jefferson University Hospital. The impact of the crash left one of the vehicles on its side. The intersection was closed, but has since reopened. So far, there is no word on the conditions of the victims or why the vehicles crashed.